'Greater China', notions of "Chineseness"
Ahlers, Anna L. 2014. Rural Policy Implementation in Contemporary China: New Socialist Countryside. London: Routledge. Schubert, Gunter und Anna L. Ahlers. 2012. Participation and Empowerment at the Grassroots: Chinese Village Elections in Perspective. Lanham: Rowman & Littlefield. Ahlers, Anna L. und Shen Yongdong. 2017/18. Breathe Easy? Local Nuances of Authoritarian Environmentalism in China’s Battle against Air Pollution. The China Quarterly, Online First: doi.org/10.1017/S0305741017001370. Ahlers, Anna L. und Rudolf Stichweh. 2017. The Bipolarity of Democracy and Authoritarianism: Value Patterns, Inclusion Roles and Forms of Internal Differentiation of Political Systems. FIW Working Paper 9, University of Bonn. Ahlers, Anna L. und Mette Halskov Hansen. 2017. Air Pollution: How Will China Win its Self-Declared War Against it? 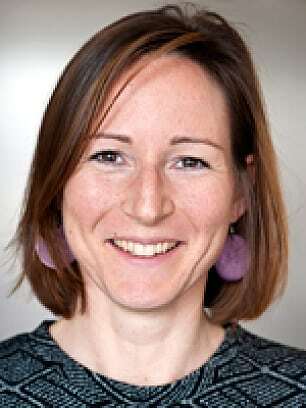 In: Eva Sternfeld (Hrsg. ), Routledge Handbook of Environmental Policy in China. London: Routledge, pp. 83-96. Ahlers, Anna L. 2015. Weaving the Chinese Dream on the Ground? Local Government Approaches to “New-Typed” Rural Urbanization. Journal of Chinese Political Science 20(2), 121-142. Ahlers, Anna L. und Gunter Schubert. 2015. Effective Policy Implementation in China’s Local State. Modern China 41(4), 372- 405. Ahlers, Anna L. 2014. Lokales Regieren und administrative Interessenvermittlung in China. In Hubert Heinelt (Hrsg. ), Modernes Regieren in China. Baden-Baden: Nomos, 89-115. Ahlers, Anna L. und Gunter Schubert. 2013. Strategic Modelling: “Building of a New Socialist Countryside” in Three Chinese Counties. The China Quarterly 216, 831-849.